In the neighborhoods and in the streets, it’s the calm before the storm. The gangs are imposing their law in every district. The Left Behind is one of them, the most insignificant, but everything changes when they find Kemi, a slave on the run from administrators and priests with a secret and the shadow of death at her back. Joining her desperate escape will be the only way these miserable gang members can find a way out, a future they never had in a city that never loved them and that is now sinking under their bare feet. 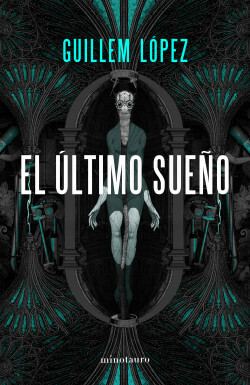 With a rich and detailed style, Guillem López offers a dark fantasy novel with a punk aesthetic.